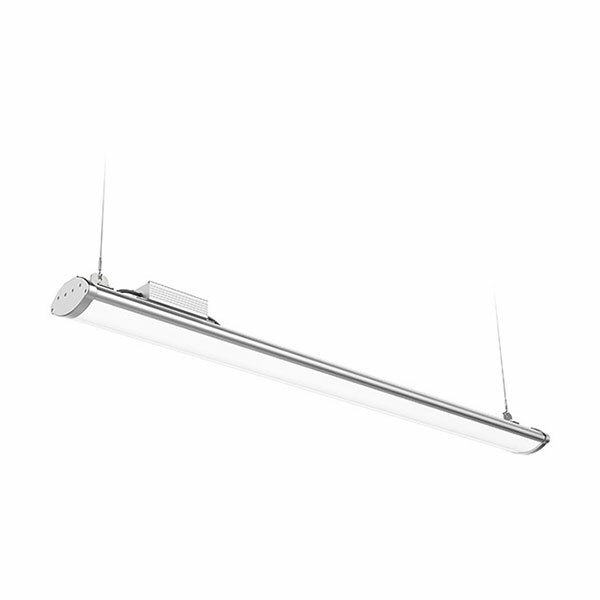 The Ultra bright Linear High Bay Range is a unique linear high bay providing a high lumen output of up to 28,000+ lumens. Will directly replace a 400 HID lamp. The advanced opal diffuser minimises glare when looking directly at the light, while the dimming function allows light levels to be adjusted as required. Ultra tough IK10 impact and IP65 ingress rated. With energy consumed just 150/200 watts and a very long working life, the Ultra bright Linear High Bay Range is ideal in areas where the lighting is on many hours each day. Available with an advanced daylight and motion sensor option, and emergency option.